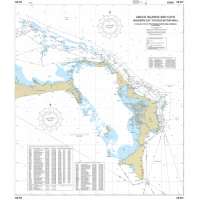 "A single-sheet colour chart of Abaco and its Cays including waypoints and suggested courses. 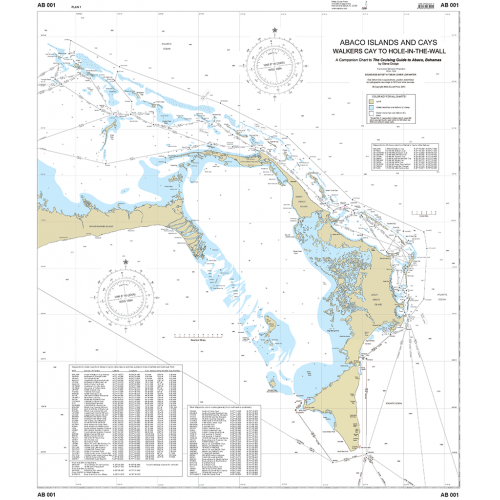 Companion chart for The Cruising Guide to Abaco, Bahamas. Provides excellent overview of entire cruising area. Walker’s Cay to Hole-in-the-Wall on side one; and Florida to Abaco on side two. Also 16 insert charts of harbours and other areas."